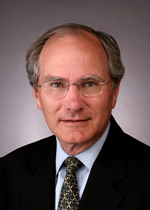 Roger Beckwith is Vice President and Secretary of Lane Financial LLC. In addition to his ongoing contributions to Lane Financial’s consulting and research activities in the reinsurance/capital markets world, Mr. Beckwith manages the company’s broker/dealer activity, financial reporting and other administrative activity. Previously, Mr. Beckwith served as Director in the Capital Markets Division of Gerling Global Financial Products, as Senior Director with the Chicago Mercantile Exchange and as Vice President and Chief Administrative Officer of Discount Corp. of NY Futures. He holds an MBA in Finance and Marketing from the Kellogg Graduate School of Management at Northwestern University and a BA in Political Science, also from Northwestern.